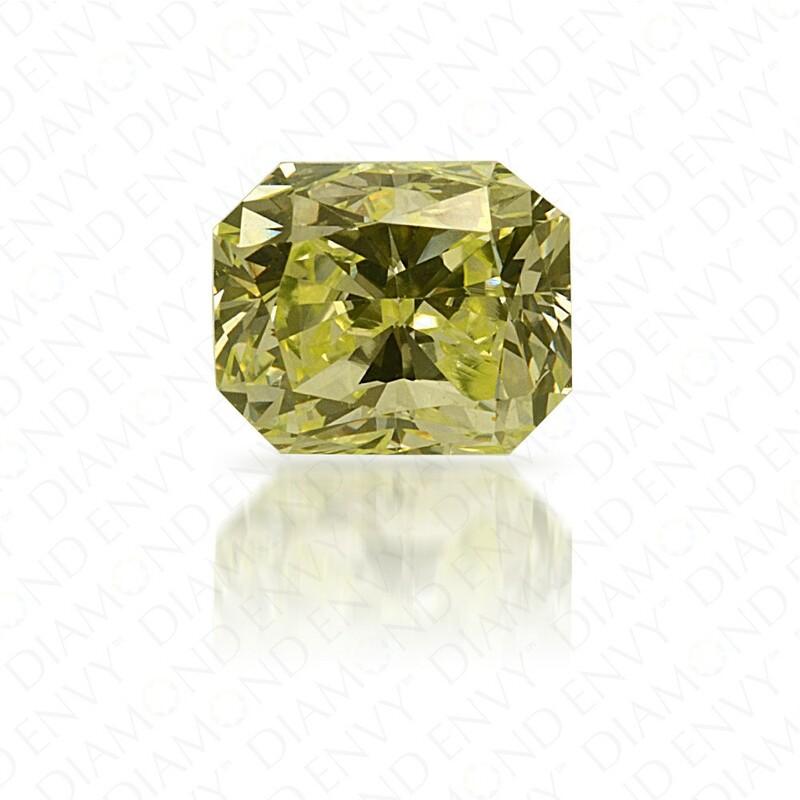 Buoyant and lively, this 0.50 carat VS2 pear shape Natural Fancy Light Green-Yellow diamond exhibits a slight tinge of yellow evenly blended with rare green. With just a hint of color, this exceptionally sparkly diamond is ideal for those who want subtle color and maximum brilliance. 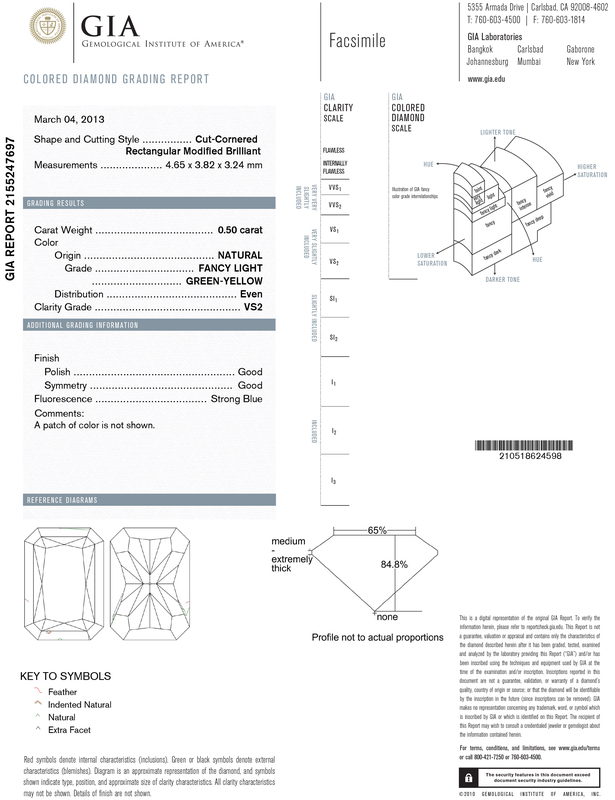 This rectangular radiant cut is a lovely elongated shape that suits a ring or pendant splendidly. GIA-certified.